J.M. Northup: Reader, Reviewer, Promoter, and Friend - Theresa Hulongbayan! Reader, Reviewer, Promoter, and Friend - Theresa Hulongbayan! My Interview with Theresa Hulongbayan! I am excited to introduce you to my readers! Not only are you a treasured friend, whom I respect greatly, but you are an incredibly book reviewer. I am thrilled to add you to my list of literary interviews! I am a teacher, a reader, a reviewer, and the admin of a number of book Facebook fansites. A mother, and a fan… it’s a long list if I go through it all, but in the end, I love books. I am privileged to know some of the authors that I love. I know from their stories the difficulties of writing, publishing, and gaining the interest of readers. I hope that my Facebook sites help readers find more behind the stories they love. I hope that I provide an access point for readers to learn about the concepts in their favorite stories, and points of discussion about the books they love. I want to explain that one concept you got stuck on while reading the book, making a good book into a great book for the reader. 2. I’d like to begin with a set of questions that address you as a reader. · Were you always an avid reader? Why or why not? o I have always been a reader. Reading has been the escape of my life. It took a long time for me to learn to read, because of a learning disability. Through reading I was able to escape from the difficulties at school and at home. Reading has helped me cope with a myriad of things like medical tests or school stress. · What do you look for in a book? o Personally, I love writers who can create a mental image. The authors who write characters that the reader can connect with. The subject matter is not as important and what you can learn from the story. Although, I do read extensively through all genre and periods of literature. As a teacher, I look for books that will help kids relate to reading. Ø Do covers really make a difference for you when you are selecting a book to read? o Personally, the covers mean little outside of the title, and author. I know a little bit of the publishing industry and know that most authors are not able to choose the artwork, or in some cases, the title. Although, with children's books, it may be a different story. Ø Do you prefer a specific genre? Why or why not? o Although I would name Science fiction / Fantasy as my favorite genre, I read nearly anything. I would not ignore a good book no matter the genre. · What turns you off to a book? o Not many books have lost my interest. I can name them on my hand. One is Catcher in the Rye. I found the book pointless, nothing is resolved, although the character completes his trip, nothing changes, and his foul language is distracting. He has no growth, and no change in his understanding. Ø Have you ever not finished a novel you started? Why or why not? o Very few books have been left unfinished. Don Quixote De La Mancha is one of those few books that I did not finish. It had more to do with the font size of the printing than problems with the book. · There is a weird debate about Indie vs Traditional. What do you think of this whole thing? o I think there are benefits to both Traditional and Indie book publishing. The traditional book sales have helped many of the authors I have known gain independence in the ability to write as a career. 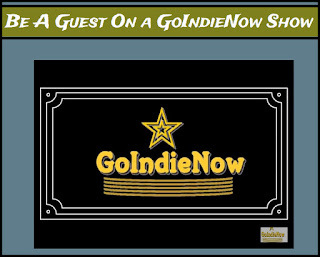 Indie gives new author the access to fans and publishing. 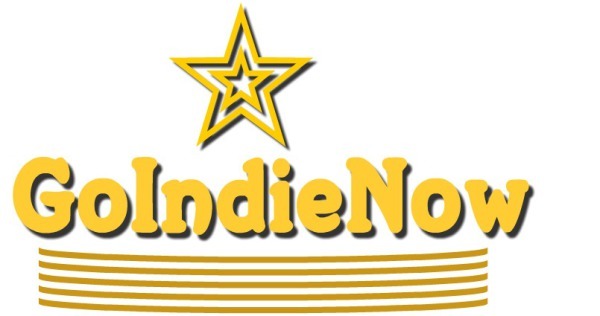 Although Indie does not get as much money or promotion. Ø Do you care if a writer is Indie? Why or why not? o It goes back to the story. Who and how the book is published is not important in my personal opinion; I would read the book regardless of how it was published. 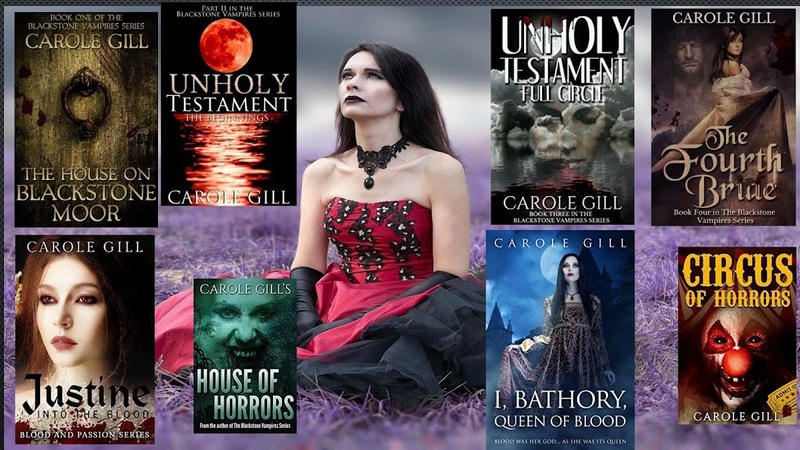 o One of my favorite books listed below with the authors and books I like, Devilish, was Indie Published, although it’s author, Lucia St. Clair Robson, had been published before. It’s a book I would recommend wholeheartedly. Ø Does this debate even have bearing on you as a reader? Why or why not? o I do attempt to gain access to indie writers on NetGalley just to promote their books, giving them a bigger audience, and more reviews. o I like to support authors, like you, whom I have met through the Gears, and would do all I can to promote your books as well. 3. With the second set of questions, I want to target your reviews. You are an avid reader, who promptly reviews the books you’ve read. You are ranked on Goodreads as the #5 Top Reviewer in the United States and the #8 Top Reviewer globally. I’d say you know your stuff! · Are reviews really important? Why or why not? o The authors and publishers see reviews as a way of spreading the news of their books. Books are allowed a limited time on the shelves of bookstores, and if they don't sell out and get reordered, they get sent back because of publishing processes. It’s sad that people may never get a chance to read the book that will change their lives. I keep a list of the Titles, Authors, and more importantly, the ISBNs of books that I have suggested or recommend. But I also have lists of ways that fans and readers can access the book after its pulled from the bookshelves, including discount stories, and rare bookstores. o Reviews may help get the word out, or just make a reader attempt to read the book, whether it’s in the bookstore or not. Reviews help the authors older books gain notice, and may get them republished or even an offer on the new book the author maybe working on. I know how hard it is to get things published, and I know that republishing does not always happen. Reviews change the way that Publishers look at books, and may cause them to begin the republishing process, which is the only way the authors get royalties. Many of the authors I know would love for you to read their bibliography just to increase the sales of new books. Many of them do not think their older titles will be re-published, but weirder things can happen. Ø As a reader, do you check out reviews before selecting a book to read? Why or why not? o In the most part, I do not check reviews. I do look at summaries of the book, and what the book is about is more important than opinion. Although, like every book, there are exceptions. o When looking for that one book to teach the kids, yes, I look at reviews, because the summaries don’t always say if the book teaches something. ü If you do, what do you look for in a review that would spark you to read the book? § I don't read many reviews, although I do so many of my own, and encourage my group to post reviews. I find suggestions of books from friends a hit, but mostly because they suggest something in my forte. ü If you do not, then what do you look for in a book? What would make you grab a novel off the shelf? § Personally, I like books that give a vivid mental picture. I like books that changed my viewpoint. I like books that change the way I see history, life, love, and happiness; that have characters I can connect with. I share these books with my family and friends. § On occasion, I will read reviews because I am looking for that particular book that will help my kids, or siblings in their prospective jobs or education. As a teacher, I look for books that teach a specific or a variety of lessons that help children grow, accomplish and find a love of reading. Ø As a reviewer, what do you think each review should include, and why is this important? I mean, do you feel reviews should have some structure? Why or why not? o I always include the title of the book, the author as well. I like to describe the book as I see it, showing its strengths, or weaknesses. I like to show a personal connection if at all possible. If I can, I will describe the characters, what makes them great, or what makes them someone I would like to know. ü Some readers opt not to post a review if it is too negative. What do you think about this, and why do you feel this way? § I have only had a handful of books that I really did not like. One is Catcher in the Rye, because it had no point, nothing was changed and all it was, was a boy cursing and going in a circle. I did not see the point of the book; I said that plainly. § Some books that I review are not my forte, but I try to find something in the book that I like. Some books change my mind about the book I previously did not like. § Sometimes my view point changes. With Goodreads, I can edit my reviews, and in some cases, I have changed my review. Most of those cases are books I read as a teacher, when another teacher's lesson gives me a clue to the book and changes my perspective. ü Do negative reviews really hurt an author, or do they fit into the notion that “any publicity is good publicity”? § You can find trolls everywhere. If the reader is put off a book because of a review, they are looking for an excuse to not read the book. § I think what hurts authors are the reviews that say, "I want to read the book" and never get changed, because they are so short but also because it’s the easy way out, the fan does not give an opinion. And it shows that they did not read the book. ü What about positive reviews; some think too many 5-star reviews come across as insincere. What do you think about this, and why? § The 5- star review is notable; I take the wording that Amazon, Barnes and Noble, and Goodreads to evaluate a book. 5-stars mean I love the book, and I use the review to show why I love it. If you look at my reviews on Goodreads, my average is 3.75-stars because so many kids books I would read to kids, but do not love them. Ø There are many platforms to post reviews. Where do you generally post them, and why? o I post my reviews on Goodreads, Amazon, Barnes and Noble, and Pinterest. o I keep a site on Tumblr for the Gear books alone. o I also share with book review sites on Facebook, like yours, but also Hungry Bookworms. My Reviews tend to be the one thing I routinely allow to go public on my Facebook page. o If the book I am reviewing is related to or published by the Gears, it is posted on the Gear Fansite. o If the book is written or related to the Wild Cards, or Dinosaur Lords, again those reviews are included on their fansite pages on Facebook. o I hope that by reaching out in this many platforms I will spread the information about the books. ü Do you feel one service is better than the others? Why or why not? § I keep my reviews as honest as I can, attempting to show a different viewpoint than the synapse at the end of the book, hoping that it may help readers choose the book. § I do ask my kids on occasion if my review interests them in the books. § And I send a Copy to the Gears before I publish the reviews on their books. It’s amazing to see their reaction; they always love it, and believe I did a great job. Occasionally, I even amaze Michael Gear with my view point. ü How do book reviews on Goodreads benefit writers, if at all? § I hope that my reviews help the authors. I want the authors to get the word out on their books. I want the readers to see a new title that might interest them. § My reviews for the Gears do include character descriptions that have helped the readers and fans connect to the book after they have read it. ü How do you think reviews benefit readers? § I also keep a formula of review for teachers, educators, and librarians. When I read a book to a classroom, I describe the lesson I used whether suggested by that teacher I am there to support, or just an idea that came to me as I was reading the book. Those reviews tend to tell the grade level of the book. Hoping that when teachers search the web for a lesson plan supported books they find the reviews, and the books that help them. 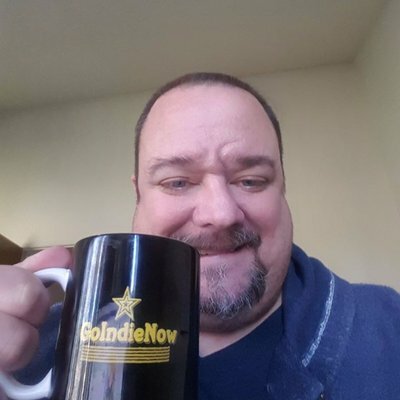 · How did you get so involved in reviewing on Goodread? o When I joined Facebook, they had a virtual bookshelf application. I started reviewing the books I had read, adding in those I own, and those I remember. o In 2011, when Virtual Bookshelf was stopped, I moved my list to Goodreads, assured by other members that it would not go away and I could keep a list going. o I review books I read for my enjoyment, but also those I read as a teacher. This virtual bookshelf keeps that list of books I have read for me. I use it to help create lists of books that I have read, to give ideas to teachers, to help schools attain books that are great for their libraries, and also help with bully proofing programs, or ideas for social change in the schools. o Since I met the Gears, the publishers noticed me, and they send me books to review. They also encouraged me to join NetGalley so I could read and review more books. Many of the books I read are either of these two choices. o I make sure that the books that I review are available for the public on Amazon, Barnes and Noble, Pinterest, and Tumblr. Ø Do you maintain a calendar for reviewing books or do you just review books you’re interested in? o I only have the goal to read the book in time to enhance sales, other than that, I read what interests me, and publish when I have finished the book. And again, sometimes I read a book the teacher’s leave for their students to enjoy with a substitute teacher. Ø Are you a professional reviewer or do you just enjoy reading? o No, I am not a professional. ü If you are a professional reviewer, how much do you charge authors, and how can they get connected with you? § I am not a professional. I have no idea what I would charge. I first would have to see where I could share the reviews before I would even become a professional reviewer. If it is where I share them right now, I would do it for free. ü If you just love to read and share your opinions of the books you’ve enjoyed, did you understand the role reviews have in allowing authors to promote more widely? § I do just love books, and would like others to read some of the amazing books I have had the opportunity to read. § I know that sometimes authors are ignored because of so many books being published each day, week and year. I hope that my review will allow the publisher to evaluate and encourage the authors to write more books. I hope that readers find those books they have been missing. § Just imagining my life without some of those books – like Anne Mccaffrey’s Pern series – it would be very dull. Not to forget that the Gears have a remarkable influence on my life with their books, their stories, and their characters. Ø How do you feel about being a top ranked reviewer on Goodreads? o It has been hard work keeping my top U S reviewer position on Goodreads. I just add the books I read during the year. As a substitute teacher I have more opportunity to read than most, and it gives me a wide variety. o The biggest challenge is the books that are not in the system. 4. How did you get so involved in literature? What fed your thirst for reading, and who most inspired you? The books are what inspired me. I love learning about something I do not know. I love sharing stories with other people. I love seeing their different view point. Most of all, I am a teacher. I want to open worlds for kids, teachers, parents, and others so they do not feel alone. · Are there particular authors or books that pull you back again and again? If so, who and which books do you love to read over and over? o With my memory, it is hard to reread books. They become so familiar when I read them the first time. There are many books that I love, many authors that I avidly follow. My home is full of books, almost enough to rival the Library I worked at. The difference is, I can hold the book in my hand and tell you about it. Ø Who are your favorite authors and why? o Anne Mccaffrey, I collect all of her books, and some by her son's in lieu of her absence. She is my favorite writer. Her books take me out of my world, into a world where you can have a best friend someone who would do anything just to be your friend, whether it is a dragon, or a cat like alien. Her vivid pictures of other worlds started with Restoree. I have read her biography, and her collection of books and authors she inspired, and find that she was just as inspirational to everyone she met. I do have one email from her thanking me for my email of admiration I sent back in 2002. There are times that I cry for her characters I am so involved in the books. o W. Michael Gear and Kathleen O'Neal Gear, and yes I have all their books printed in English. They are amazing authors, they paint vivid pictures and characters that you can love, hate, empathies with and cheer for when their battles are won. The Gears have elated me and devastated me, sometimes in the same book, in ways that the characters not only live in their minds but in my own. You find their subtle viewpoint changing how you view the world. You are able to see the encompassing diversity of human nature. o Lucia St. Clair Robson, one of the authors I met because of the Gears friendship, she is an amazing author that brings history of the unknown to life. Her trail of tears book, Walk in my soul, is life changing even as a teenager that I was when I read the story. o Terry Pratchett, Is probably the funniest story teller – another vivid writer, his diversity of characters could touch every man. A wizard that has dreams of greatness, but only knows one spell, and he would end the world by saying it. A cop who struggles with the power and prestige of his corrupt and opulent cesspool. The vampire who is addicted to photography, who denigrates with each picture to be reborn by the small vial of blood and note tied around his neck. o Robert Jordan, who wrote the Wheel of Time series, that had to continue after his death, is an amazing author that looks at the corruption of man, the twists and turns of the human nature that turns the truest of heroes to evil. o George RR Martin, looks into the reality of friendship, life and power. His poignant story the Dying of the Light shows the resolution of life, of love and he even destroys a planet, so matie stop complaining about your favorite Tale of Ice and Fire character. In all reality, his stories have followed me my entire life, his scripts for The original Beauty and the Beast have shaped my theology of love. o Victor Milan is a remarkable author, not only for the 100 plus titles he has written under various names. His books look into the nature of man, sacrifice, and the intelligence of man using things and technology for his personal gain. His Cybernetic series is like Asimov in predicting the future. o Piers Anthony Changed my viewpoint with his Incarnation of Immortals, and made me laugh with Xanth. o Melinda Snodgrass, who wrote many of the scripts for Star Trek the Next Generation, has great books that have the strongest female characters, and characters that people would dismiss by the list of their characteristics. She can make you intellectually challenged while entertaining you with a heartfelt human struggle, with in the character's life, love and reality. Ø Which books are your favorites and why do you think you love them so much? § Anne Mccaffrey's Books are all my favorite. I could fill a list of reasons for each book. Just broadly say I love her books – all her books. § People of the Wolf by Michael and Kathleen Gear, Wolf Dreamer is my favorite character, the book looks at the human sacrifice for the greater good. Characters who struggle against the natural world and mystical world to find the right path. § Devilish by Lucia St. Clair Robson, and amazing look at the normal neighborhood with its own unique problems. Her Walk in my Soul has been a treasure in my library; I still – 23 years after reading it – find inspiration in love, belief and care for your fellow man. § Fevre Dream, by George R R Martin a true look at friendship and the hope of building something. § Wild Cards I Edited by George R R Martin, the first of the series, and the one that begins the whole world. This is a great book about the possibility of human imagination, and resilience of human souls. § Twilight by Stephenie Meyer, It made me vibrate actually vibrate, bringing me back to the feeling of overwhelming love. I had to read the series three times just to put the books down. § Talking to Dragons, Patricia Wrede, It took me twenty years to find this book again. I sat their describing the book to librarians, book sellers and such for years to find the book that stayed in my mind. This is a great series that will change you view point. § Cybernetic Samurai by Victor Milan, the look into Artificial Intelligence and a premonition of what would happen when reality and intelligence are at war with each other, how would we teach a computer to value humans when they never were human. 5. I am fascinated with discovering how you became an admin for the Facebook Fan Groups for bestselling authors, Kathleen O’Neal Gear and W. Michael Gear. This series of questions will be focused on this aspect of your literary involvement. 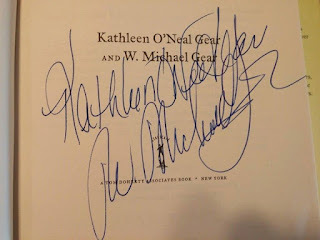 · Can you please tell us about Kathleen O’Neal Gear and W. Michael Gear? Who are they, and why are they important? o Kathleen and Michael Gear are award winning authors that bring their expertise in Archeology and Anthropology to the forefront of the Historical Fiction Genre. o They write in other genres, like Westerns, Science Fiction and Young Adult Fiction. They have published over 64 titles, and will have four more books to come to stores in the next few years. The biggest series they have is First North Americans or the People books. o The Gears were asked by their publisher to present a book that covers from the crossing of the Bering Strait to the contact with modern man; the history of North America. They have published over 30+ books and novellas about this, and we have not touched all parts of the continent or epochs. We have not gotten to the bottom of the well. o Their books are eye opening and extraordinary with mysteries and solutions that are novel. The first six books in the First North American series were based off of finds in the archeological record, the whole story is based in the past, showing how those finds were created and left for our generation. It is amazing to wrap your mind around the history that we do not know. o The Gears have a way to bring humanity into history, and how history is not the story of the winners but the story of man. Ø How long have you known Kathleen O’Neal Gear and W. Michael Gear, and how did you meet? o In the latter question, I explain how I became a fan, but how long have I known to them, since 2010 when they reached out to me. We began talking, but it was not until 2013 that I met them in person. Ø What drew you to them, and why are you so active in not only supporting them, but promoting them? o In 2007, I joined the site Facebook. That year, I scanned through the site, visiting a lot of fansites for authors I know and love, but found that two groups were not represented at that time. One W. Michael and Kathleen Gear, and George R R Martin's Wild Cards. The latter is explained in the question on other authors I support below. o I started reading the Gears as a teenager. As far as I can tell, I found People of the Wolf within the first printing of the paperback book. I had gone to the bookstore for my birthday, only finding one Anne Mccaffrey book, and was told to find something else. I was drawn to the history section because I was raised by a mother who at one point in her life ran a Museum in Fort Sill Oklahoma about the Native Americans, specifically Geronimo. Trailing in her footsteps, I always found Native American stories intriguing. When I read the first book – which is still my favorite – I fell in love. o As a child, I collected each book as they came out in paperback so I could afford more than one book. I continued to collect all the books as each was published. I shared them with friends and family, but could never talk about the books. When I started the site, it was purely to talk about the books. o I was floored when the Gears, themselves, reached out to me. The publisher brought my fansite to their notice. They reached out, and my husband did not believe it was them at first. But knowing the books as I did, I could hear the echo of their personality that was in their writing. o I did not meet them in person until five years ago, when I went to Thermopolis, on my way home from Yellowstone, to have burgers with the Gears. The Next year they invited me as the guest of honor to the People of the Earth Days. o For four summers Michael, Kathleen, and I have met, and had meals and helped support each other. As a fan of their books, I would have promoted them and advocated for them. As their friend, I will continue to support, praise and remind them that they are important. o If you go to the fansite, you will find a file, named Satisfied, that will always remind the Gears how important their work is. Ø Are there other authors you active support/promote as well? Why or why not? o Yes, I actively support other authors, like yourself. 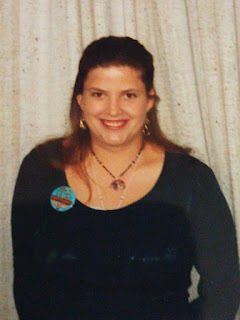 I review books, and publish the reviews on Goodreads, Pinterest, Amazon and Barnes and Noble. o As of 2014, I actively promote The Dinosaur Lords books, by Victor Milan. Mr. Milan is a Wild Cards author. He is my gentleman who has over 100 books to his name, many of them under pseudonyms. 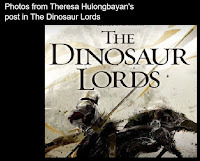 The Dinosaur Lords is a great trilogy of books about knights and dinosaurs. The premise of the books is how humanity would have survived if they could have controlled the interaction of Dinosaurs in a feudal society. · What led you to running their Facebook Fan Club groups? o I began the site, the Gears believe it is my site, and I am in the Administration. Although they have all administration rights, because it represents them. I was the one who started the group, by default, it is my own creation. Ø Why are there two sites? o Facebook, in 2010, retired or archived the sites that did not have much traffic. The Gears had just joined the site, and we were still building the site with only 200 + members. The outrage of the group was phenomenal. Facebook gave those groups that wanted to stay the right to earn through comments and activity the right to stay. o I created and organized the second group to save the group. I organized it better than the original. I cannot merge the groups myself, and I have asked Facebook a number of times to help with it. SO I keep both sites as close to each other as possible. o The original group has more members, but the secondary group has more organization because some fans like the slower pace of the secondary group. I make sure that the Tor Book giveaways, and other events are shown on both sites. Ø What does being an admin entail? o I am just one of the admins, and as with my other sites, the admins are also the authors. In fact the Gears are the only other admins of the Gear fansite. 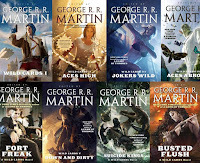 o George R R Martin's Wild Cards site has the authors and contributors to the site. o The Dinosaur Lord's fansite has Victor Milan and two other fans, who sponsored the creation of the fansite. Although, only myself and Victor Milan are the only ones participating as admins. o I actively monitor the site, making sure that discussions are prompted from resources on the net, and Facebook. I find links to promote discussions on various sundry topics related to the works, and anthropology. I celebrate the new works by the authors, some of the authors that are in the genre that is related to the breath of the work, or in some cases, friends of the Gears. o Lately, I have been correlating the links, making lists of the sites shown or discussed in the group, or other events, like People of the Earth Days, or the College course at Indiana University that featured the Gears, and their writing. These are available to share on the fansites. o Some of my files are lengthy list of the author's works, in the case of the Gears, I have the lists in various forms: what the format the books were printed, the order of publication, and the Chronology of the books themselves. o I have also used the information from the People of the Earth Days to help begin research about the books that will be published in the future by the Gears. In a way, the site promotes the books because it is a resource for more information about the books, and the fields of study the books are related to. Ø What is the coolest thing about managing the fan club groups? o I think the coolest thing was when Tor books sent us books to giveaway and promote the bibliography of the Gears. I was asked to host the giveaways, so monthly, I create questions about the books, making sure they are all answerable by what is on the site so the fans do not have to read the books, just look through the pictures and files and links of the site to get the books. It is fun to see the fans participate and their appreciation of the books has made it worthwhile. o The Gears have signed the books at The People of the Earth Days' events, so fans and new readers can get a hold of the signed books. We have sent copies to the Netherlands and Australia. o I would invite new readers to come and try for the books anytime. I start the giveaways on the 1st of each month, awarding the book by the 15th of the month. o The later question about the People of the Earth Days and the Cahokia site visitation is something that is unique to the group. I do not know of another author that reaches out to their fans in this manner. Ø What is the most difficult thing about managing the fan club groups? o The most difficult is monitoring for "Trolls", and advertisers. The authors in all my groups, and myself want the site to be welcoming to all readers, but we also want to make sure that the site stays with the premise that the sites are to support and celebrate the book's, authors and their bibliography. o Occasionally, we have to evict "Trolls" or advertisers that join the group. I try to check all the new members to make sure they are fans, and cross my fingers every time to make sure they do not cause problems. I have only had a few incidents of Trolls, and the Gear fans are very protective of the group – they actually report problems before I can even see it at times. I feel supported by the group and the authors. · Can you explain what their People of the Earth Days event is exactly? o The People of the Earth Days is a celebration of the local area, the history, and the books written by W. Michael Gear and Kathleen Gear. 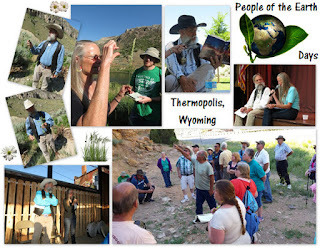 It started as a Celebration of the diverse and amazing landscape and history of Thermopolis, Wyoming. It features the books written by Michael and Kathleen Gear, starting with People of the Earth, which was originally set in the area during the Ice Age. o Suggested by the local business industry to promote tourism, it involved in successive years, a tour of the geological history of the Wind River Canyon, from the earliest rocks to the age of Dinosaurs. The Dinosaur museum of Wyoming, the finds, the discoveries, and the collection of the museum. Even a chance to stand in the footprints of dinosaurs in a killing ground fossil bed. The local businesses, from hotels to the local tannery, feature their history. Tours of the Thermopolis History Museum would include readings from books to be printed in the following years. o This was a great time to meet new friends, other fans, the authors, and the local characters and history of the area. It was an amazing event that may, take place again in the future. Ø Are you actively involved with these events? Why or why not? o My involvement has been resigned to advertisement, and dispersion of the information. o I documented the events for its three year run. I presented the event to the group. 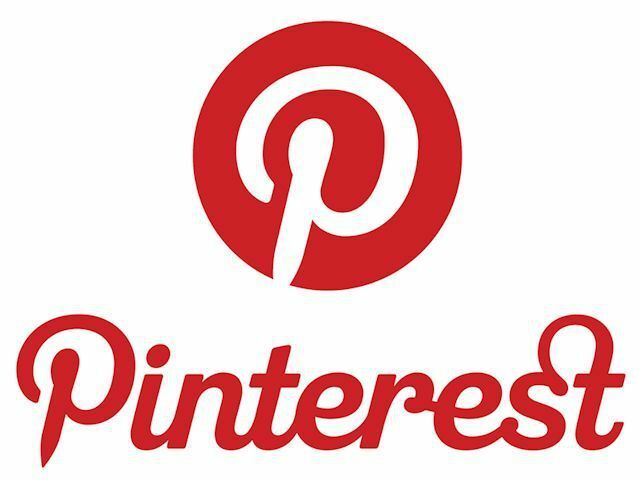 I pushed out publications on Pinterest, Tumblr and Facebook about the event. o During the event, I took pictures and shared information, from recordings to comments added to the pictures and resources. I helped advertise the event on the aforementioned sites. I also made sure that information was shared about the sponsors of the event. o My goal was to build the event to help aid in its continuation. We discussed for the entire year the information given in the talks. We looked at the pictures and related them to the books, to the knowledge and history. Ø Do Kathleen O’Neal Gear and W. Michael Gear partake in other events as well? If so, can you tell us about them? o W. Michael Gear and Kathleen Gear where there for every event, even splitting between groups when necessary. They shared their knowledge of the area geology, the modern and prehistoric history, plant life and their uses, Native Americans of the region, the archeology and the paleontology of the area. o The whole weekend was booked with information, technical and descriptive. The fans were flooded with information on Paleontology of the area, the Archeology of the area, the Geology of the area. The town spoke of their plans, their history, and the personal and professional acclaim of the local community. From descriptions of the local businesses, in some cases that were perpetuated by the Gears themselves. o They were the gracious hosts, and would hold a book signing at the Local Storyteller bookstore each year, that would bring out the local fans as well. The final book signing not only hosted local authors Steve Horn, but Lucia St. Clair Robson, Kat Martin and Larry Martin, it was a celebration of western writing. 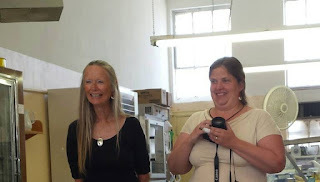 o Michael and Kathleen shared insight into their books, discussion on writing, publishing, their personal history in archaeology, and anthropology and the life of Buffalo Ranchers. They were in every discussion from the dinosaurs to the modern changes to the town. This was an event that showcased the area, the people, the town and the Gears. Ø Are you a participant in these other events as well? Why or why not? o We are hosting a Fan Based event at Cahokia this year, because of the hold on the People of the Earth Days this year. o The fans want to explore the sites within the books, and promote the books, their corresponding sites, and the history that has been told by the authors. We will have lectures and tours held by the site curators, with help from the group about the books. Thank you so much for taking the time to meet with me today. It has been fun to catch up and to learn more about you. Peace and blessings, my dear friend! This interview being published is such a great tribute to Theresa, who does so many wonderful inspiring things for readers. I am a member of the Gear book club site she administers. It is by far superior to any group I have seen. Thank you - I appreciate your feedback. I wanted people to know how amazing Theresa is, and how much she does for readers and writers alike. I am happy to have achieved that by honoring my dear friend!